If you’re a quilter, you’re familiar with traditional log cabin quilts, easily the most recognizable and traditional quilt pattern. Log cabin patterns begin with a center shape, usually a square, and are built by sewing strips around that shape. Holly is a knitted log cabin “quilt”. 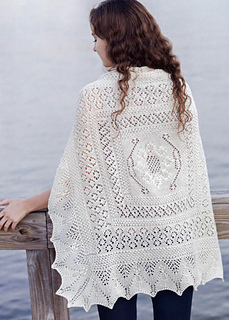 The central square is a traditional Estonian lace motif, full of texture and nupps. 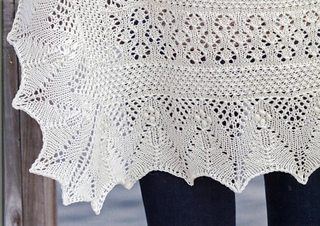 From there, strips alternate in lace motifs and a cluster stitch motif. 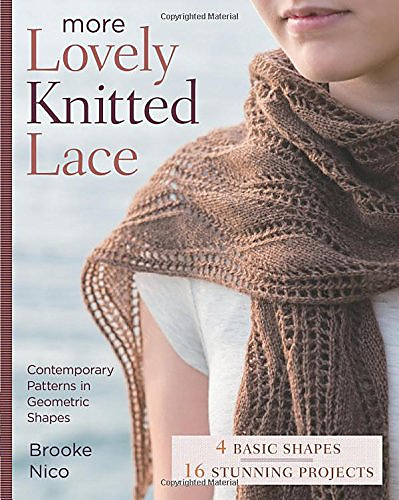 Holly is a fun pattern to knit, with the added advantage that you can watch it develp as you bind off each panel.